F1 Non-Purple Stem variety of Wisconsin Fast Plants® is a cross between the Non-Purple Stem, Hairless variety and Purple Stem, Hairy. 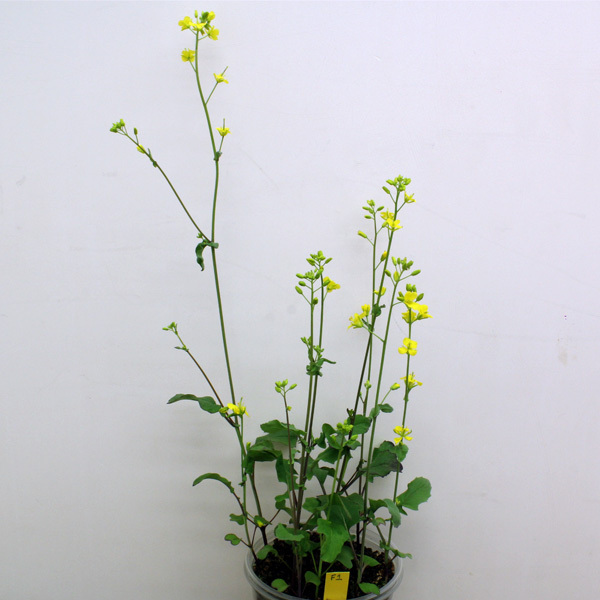 This variety (along with its F2 offspring generation) demonstrates a single-gene inheritance model representative of Mendel’s findings. 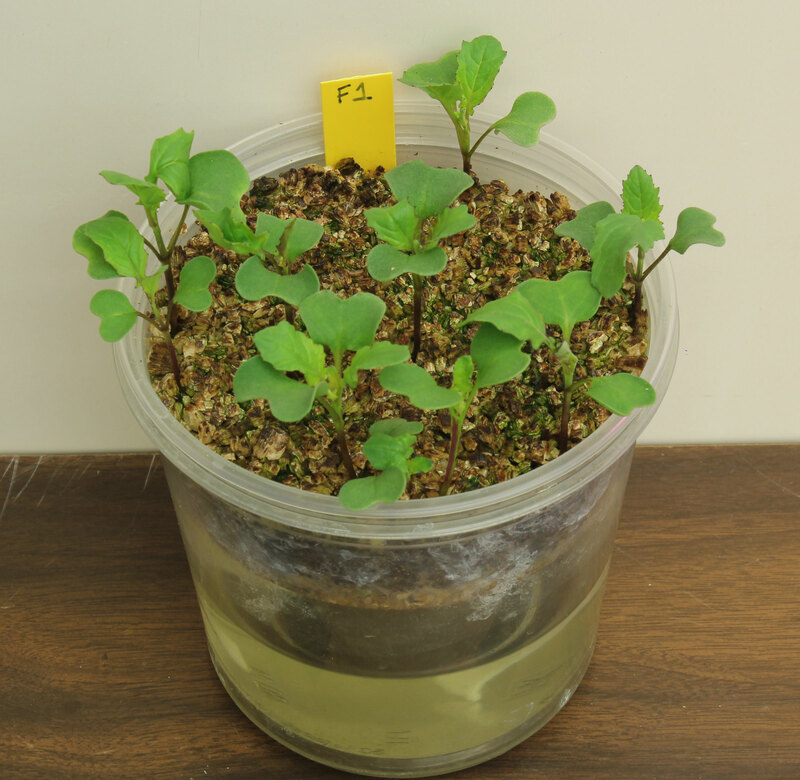 Plants produce a purple pigment, anthocyanin, visible throughout the stems, leaves, and bud tips. 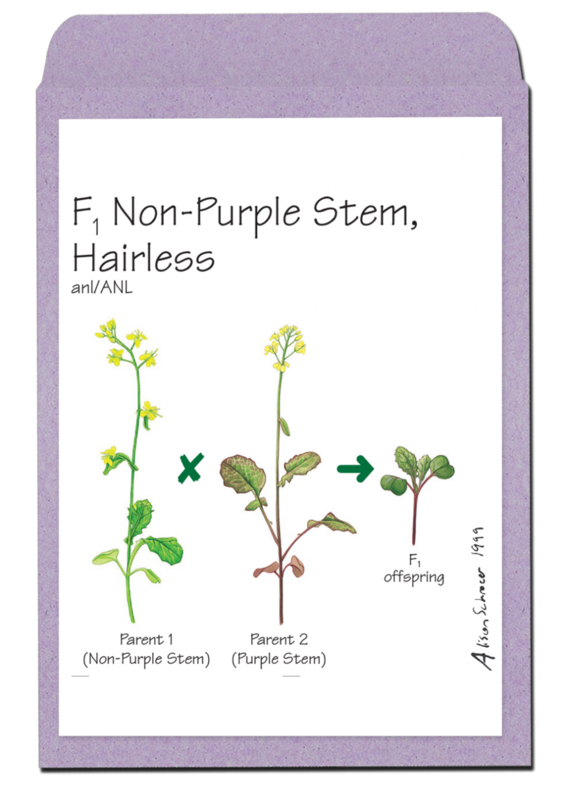 The expression of anthocyanin in the parent from the Purple Stem, Hairy variety is dominant over the anthocyaninless, Non-Purple Stem, parent. 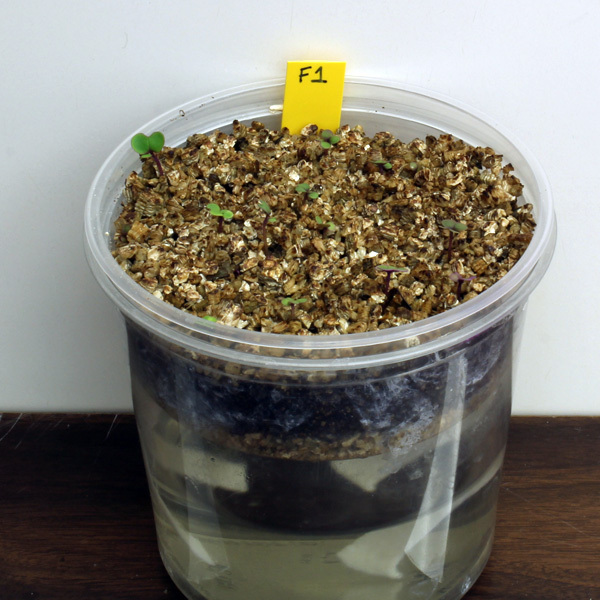 If any green stem plants should appear in this F1 seed stock, remove prior to pollination. 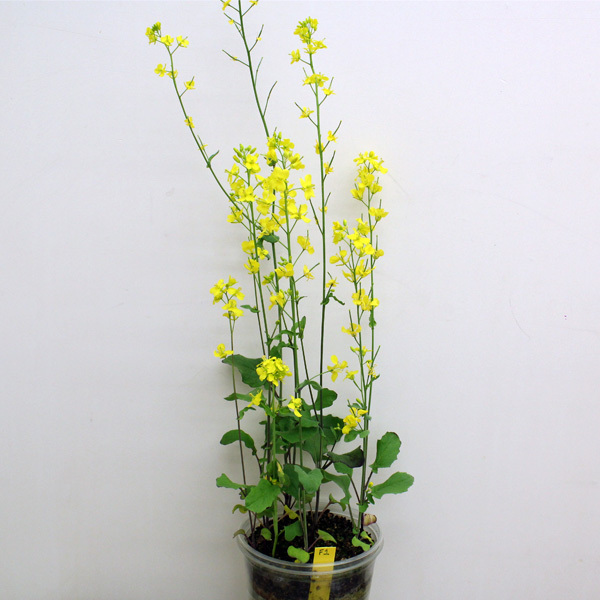 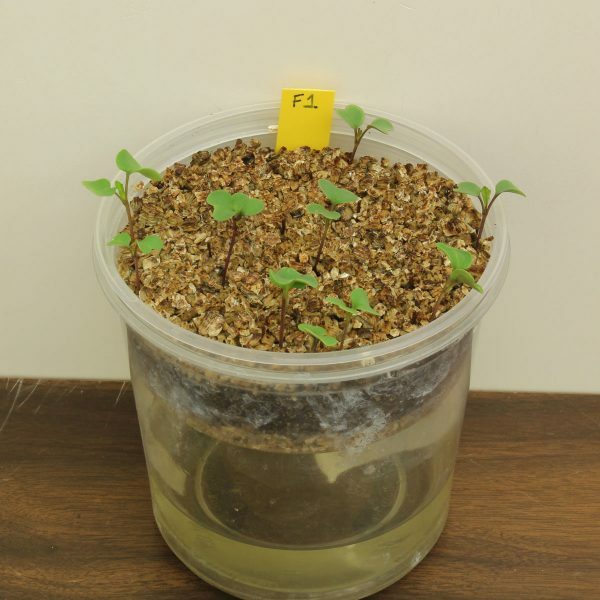 Monohybrid Genetics: Recommended for single-gene inheritance studies with the F2 Non-Purple Stem seed stock.